Marrin Costello gifted the jewelry in this post, but all opinions are my own. 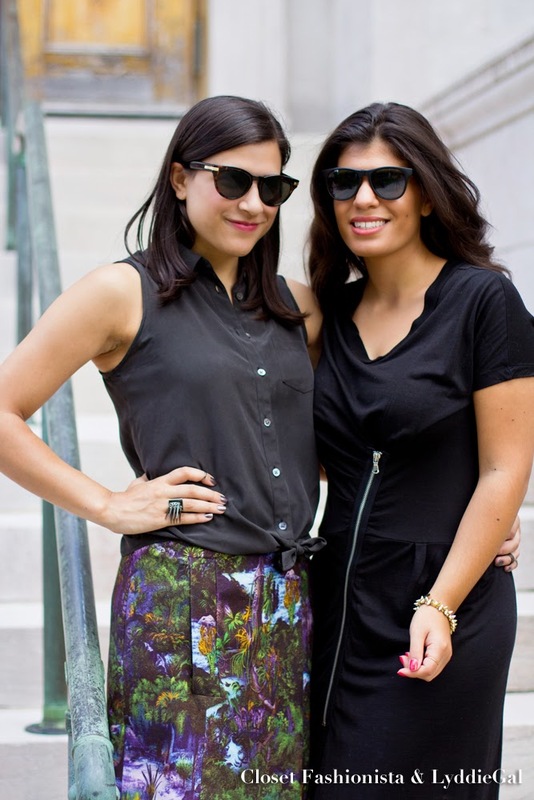 Today Lydia and I are excited to feature some pieces of jewelry from LA based designer Marrin Costello! 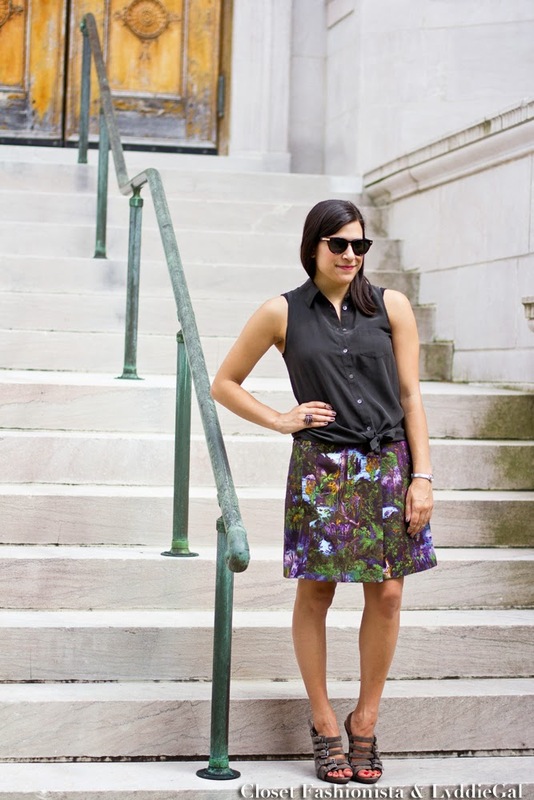 We partnered up with Marrin to showcase how we would style her fabulous pieces! I chose the MIDI Rings (gunmetal), Stellar Ring (gunmetal) and Helix (gold) necklace while Lydia opted for the Baby B (gold) and the Saratoga (gold) bracelets. While all very different, each piece I received was well made and simply designed. I always find simple jewelry to be the best, because you can pair it with most anything. For the looks I styled I showed both sides of the coin: a simple black dress with a necklace, and an outfit featuring a print. I could have switched my jewelry for each look and still looked fabulous! That's how I know I found a great accessory. 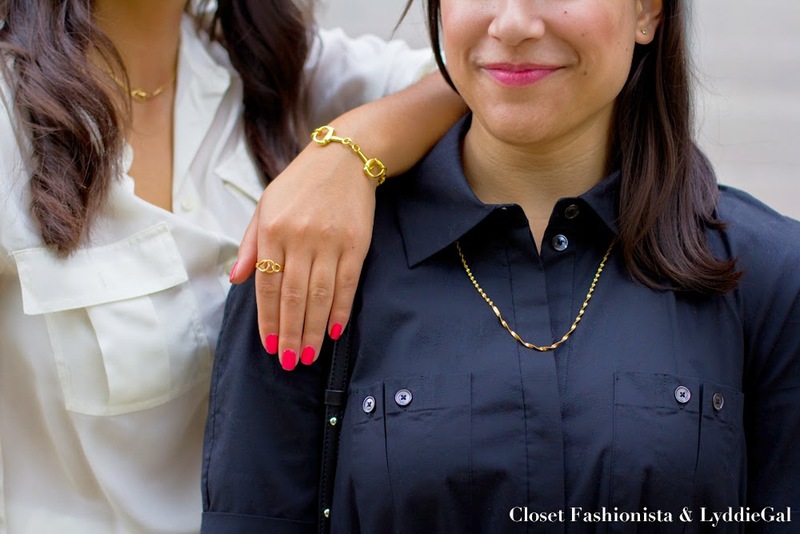 Enjoy the photos below, and #DontForgetToAccessorize with Marrin Costello Jewelry! I'm really looking forward to the release of her Stoned collection because, as we all know, I love jewelry with gemstones and other pretty things. 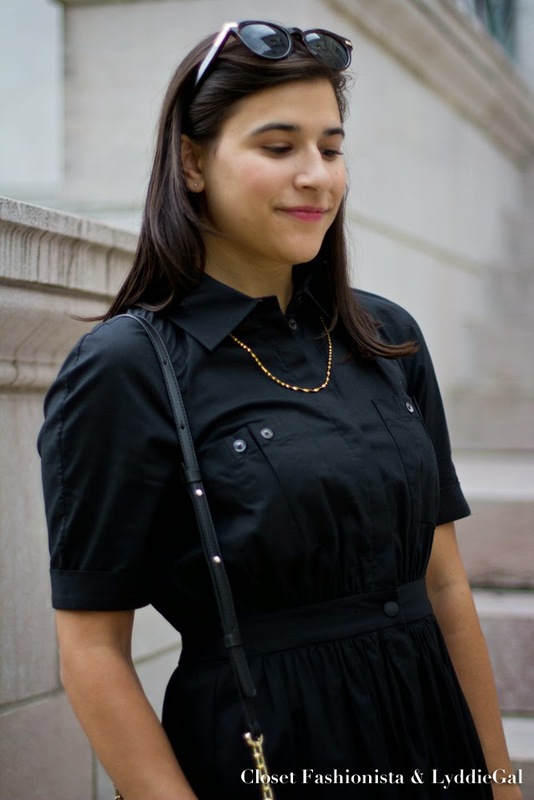 * Marrin Costello provided the jewelry in this post, but all opinions are my own. I do love how our mini look book came out! I know we will be wearing these pieces for quite sometime too, they are so easy to mix and remix! You guys look great - and that spiky ring is totally calling to me! You both look so gorgeous! I am really loving that spiked ring! So unique! Great that you had the opportunity to do this! You're both looking so beautiful :) The jewelry is wonderful! You ladies look fabulous! Those rings are so unique and fun! I love the second look, the ring is fabulous! Oh, how fun that you both did a double-style post. Love it! The jewellery pieces also look amazing! Loving both of your looks! And I'm a huge fan of that tropical print skirt. You girls are so stunning! Nice accessories, but I can't take my eyes off your Carven skirt!! Loved seeing you two together !